If you’re into craft beer and visiting Iceland right now, forget about sightseein, there is too much beer to be tasted. This week an Annual Beer Week at Hverfisgata 12 and Mikkeller & Friends, which tops off with a Beer Festival at Kex Hostel over the weekend. Popularity of craft beer has been booming in Iceland over the last years. There are small craft breweries all over the country and the variety of foreign craft beer as multiplied in a short amount of time. There are a few bars that specialize in craft beers, one of them is Mikkeller & Friends, named after a Danish brewery favoured in Iceland, Mikkeller. Over the week there will be a tap takeover at Mikkeller & Friends, where you can come by and taste brew you won’t find anywhere else in Iceland. There are also other beer related events, like beer yoga. 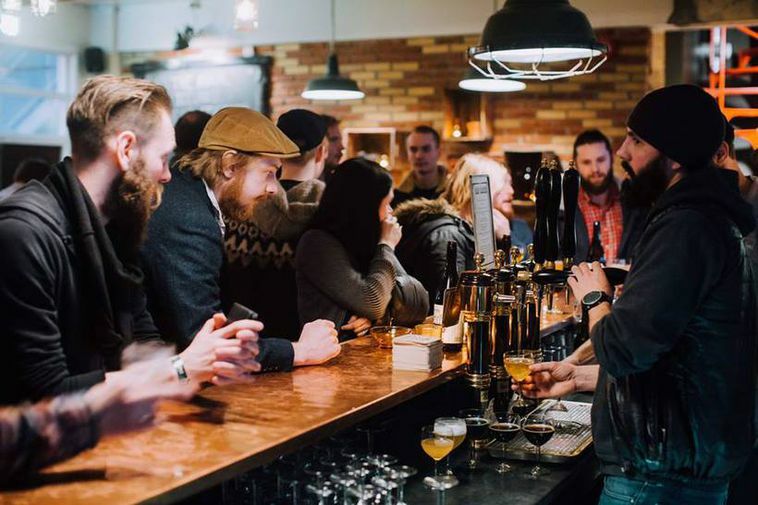 The main event is of course Kex Hostel’s annual Beer Festival, a much anticipated event for any local beer lover. At the festival Icelandic Beer Trade shakes hands with the international craft beer brewing society in an intimate setting. There you can taste the up-to-the-minute flavours of the craft beer scene along with diverse food pairings and live music. First lady Eliza Reid pours the first festival beer! Open tap – only 30 seats available. Sign up with Kexland.